First off, let me just say that I don’t usually say much about my faith when I’m writing. However, most of the principles that I believe in and talk about are biblically grounded, as I am a follower of Jesus Christ (a Christian). I’m not trying to hide what I believe in, but I don’t want to smack people over the head with it either. If you know the story, then you can check me here, but it basically talks about a vineyard owner on a particularly unique day. This vineyard owner drives to the village or town (didn’t actually drive, now that I think about it) at the crack of dawn. He picks a few day laborers at the marketplace and has them agree to work a long hard day for a fair days’ wage at his vineyard. Later in the morning he does this again. A few hours later he goes back and grabs a few more. The way the story goes he continues this process throughout the day, going back and forth. Each time grabbing whoever is left still looking for work that day. This goes on until finally it’s the eleventh hour of a twelve hour day. Keep in mind that all of these men are hungry. All of them are unemployed. They all need work and are all happy to join the vineyard owner and make a few bucks to feed their family. Finally, the day ends and the vineyard owner goes to pay everyone. The funny thing is, he pays the first ones to show up, last and the last first. On top of that, he pays the last ones to show up, the same amount that he pays the first ones. They all get one denarius (a fair day’s wage). Here’s where you say, ok that is ridiculous! Someone is getting screwed! It’s easy to think that way. The workers that showed up first and worked 12 hours certainly deserve more than the workers that only worked for an hour, right? Personally, I don’t believe that is necessarily true. Let me explain. When you interviewed for your job, did you ask how much your co-workers were paid? Did you ask for a detailed breakdown of the current team’s salary? Of course not! You wouldn’t have gotten it anyway, right? You agreed to the salary at some point and hoped for the best in the future. Similarly, the vineyard workers here all agreed to do a job and none of them asked what everyone else was being paid. So, why are you any different? I know what you are thinking here, “that’s true but things have changed since I started here…” Ok, I get that too! Jerry tells his “friend” very politely that he isn’t playing with his heart. He’s so concerned with what he’s missing out on that it’s affecting his performance. Worse yet, everyone knows it but him. This is the same thing that happens when you focus too much on the money related to your job. You have to concern yourself with the value you are providing to your company, to your team, and to your leadership, regardless of what you are currently making. Don’t get me wrong here, you don’t want to get trampled on either! Sometimes you have to ask for a raise. Just make sure it has nothing to do with what Joe or Suzzy makes, rather it’s based on the value that you bring to the table. Some say Jesus was crazy. Some say he was a liar. Personally, I say he was exactly what he says he is, The Son of God. 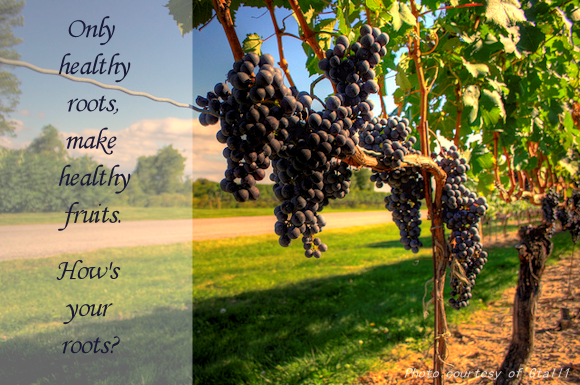 In the story above, Jesus is like the vineyard owner. He gives us all a gift, regardless of our work, that gift is the same. We either accept it or we don’t. It’s a simple offer for anyone that’s hungry, but giving everyone the same gift is a rebellious idea for sure! The funny thing is that we all start off that way in our jobs. We are hungry and accept an offer. But somewhere along the way we get an attitude. We start to think we deserve more; we feel entitled. All the while, we can forget that our jobs are a gift. If we don’t like the gift, then we can choose to reject it. But as long as we have accepted it (unlike Jesus’ gift) there are strings attached. The strings are that we have to give it everything we’ve got regardless of what we are being paid. Anything less than that and we are only short-change ourselves. And that’s how entitlement kills the cat. Question: Do you care what your co-workers make? Why? I don’t care what my co-workers make for one reason…it has no impact on my job performance. I do what I know how to do and do it the best way I know how. The salary of another does not dictate my abilities. However…if I produce outstanding value and generate revenue that exceeds my compensation package by many many multitudes but I can’t afford health insurance while the owner affords a Benz…I’m going to ask for a raise. I’m honored to have you stop by Steve! It seems that everyone’s job is to produce outstanding value and generate revenue that exceeds compensation. So, why is that necessarily reason for a raise? To me, raises are about changing the equation. If you signed on as a novice with a novice salary and have grown into an expert, then a raise is warranted. However, if you signed on with an expert salary, and have continued to be an expert then it’s much more foggy. It just seems to me that if you let your pay determine your output, then you are going to lose. With that being said, if you think you deserve more, then by all means, ask!! Bob, great to be here. Retention. Retention is the necessary reason for a raise. If I work for you, consistently meet and exceed goals, and you don’t reward me but rather skim the cream from my hard work, I will leave you. 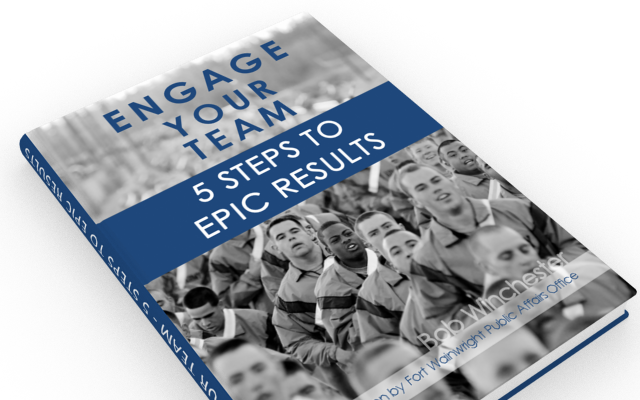 Company loyalty requires employee loyalty. Slum lord employers retain dirt bag employees. If you like my work, show it, or be prepared for me to find someone who will. Growth is required from both parties. What does any of this have to do with knowing your co-workers salary? Nothing. However, it illustrates why its important to keep your eyes on the goal. Focus, understanding, effort, and persistence will net you the salary you want. If you do these things you won’t have time to worry about Sally’s salary. Very, very well said my friend! I take a little exception to the dirt-bag part (although it did make me laugh). I’ve seen many good employees get taken advantage of because of fear. Fear of leaving, fear of confronting their boss, fear of the unknown, etc. And that can go on for many years. Oooh, there’s another post there I’m sure! Really, it’s great exchanging ideas with you!!! Come back any time! !